Your Withings Home and the Withings Home app work together to provide you with the benefits of an extended home monitoring system. The main function of the Withings Home is to monitor what’s happening in the room it’s located in and record it in an interactive Journal. You can then access these events easily from your Journal. Depending on your settings, you can receive notifications every time a notable event is recorded. You also have access to your daily Timelapse from the Journal. It shows a summary of your entire day by playing end-to-end a series of snapshots taken every five minutes. You can also get information about the air quality of the room thanks to the environmental sensors of your Withings Home that can detect the level of VOCs (Volatile Organic Compounds). 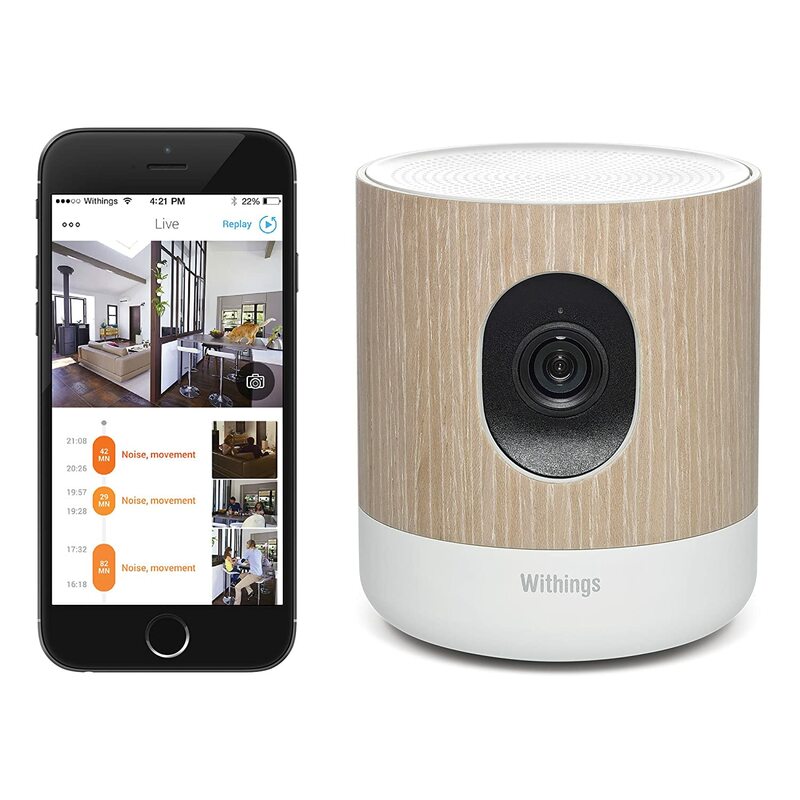 Also available on your Withings Home are the Push-To-Talk feature that allows you to communicate remotely with someone next to your Withings Home, and the lullaby feature that helps you put your baby to sleep. Check out this great review here !